When: September 27, show starts at 7:00 p.m.
Why: For local musicians to join together to honor one of the greats in a night of tribute to his music. 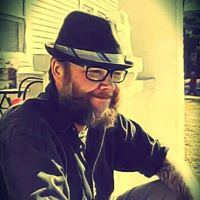 Cootie Crabtree is an Indianapolis based singer/songwriter who rambles the county lines between Americana, Alt-Country, Rock, Strange Folk & Rootsy Blues. A little rough around the edges but pure of heart. Performing homegrown, heart-crafted originals and choice cover songs written by influential artists, there is no specific genre or pigeon hole that fits Mr. Crabtree. First and foremost, he is a natural born lover of music, and that love is what has inspired him to share his own unique brand and voice. Coot is fortunate enough to have some very talented friends who are also musicians, songwriters and fantastic instrumentalists. This allows him to perform solid solo showcases or he can easily round up a duo, trio or a full-on band to support and enrich his sound, whatever the situation may call for. From Townes Van Zandt to Jerry Garcia...... or Hank Williams to Wilco, Coot wanders the spaces between. Cut & dried, he is a music fan with a song and sound of his own to share with us. I asked Coot some questions about the upcoming show he's helped organize, as well as a little about himself and his music for those who may not have had a chance to check him out. Amy @ Indy IN-Tune: What does the Townes Van Zandt Tribute entail and why are you doing it? What does Townes Van Zandt's music mean to you? 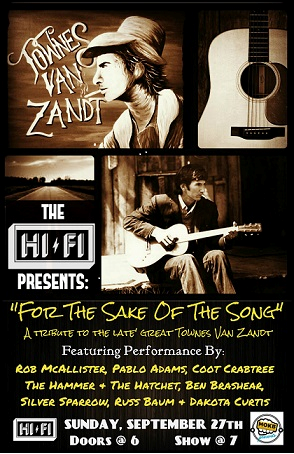 Coot Crabtree: The TVZ tribute is an evening of central Indiana musicians who are also TVZ fans getting together to perform their versions of TVZ songs. This is the first of many Songwriter Tributes to come. Townes' music has been a big influence on me, so I figured the first tribute show would be honoring him & his music. Amy @ Indy IN-Tune: Who were some of your musical heroes growing up? CC: My dad owned a blue-collar tavern when I was a kid. 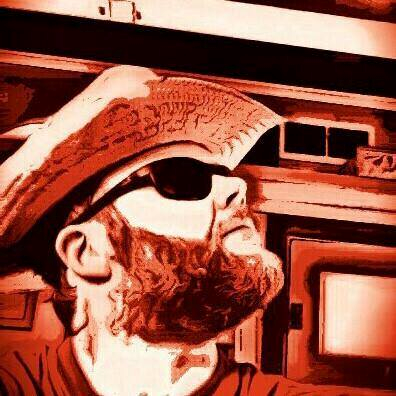 I was raised around the sounds of Classic Country, Bluegrass & Oldies. Hank Williams Sr. & Jr., George Jones, Merle Haggard, Mr. Cash, Willie, Waylon, Conway Twitty and such, The Stanley Brothers, Bill Monroe, Jerry Lee Lewis, Motown.......I never stood a chance. Amy @ Indy IN-Tune: Who are some of your musical heroes NOW, if different….? CC: Nowadays my heroes include: Townes Van Zandt, Steve Earle, Willie Nelson and all the names I mentioned before, Scott H. Biram, Tim Barry, Jerry Lee Lewis, The Rolling Stones, Tom Waits, Jerry Garcia, Howlin' Wolf, B.B. King, and this list could go on & on. 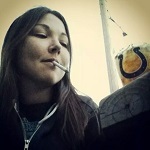 Amy @ Indy IN-Tune: Tell me about your eclectic taste in music. What was the first album you ever bought, and what was the most recent? CC: The 1st album I ever bought with my own money was, Hank Williams Jr. "LIVE" on cassette. The most recent album I've purchased is Tim Barry's, "28th & Stonewall". Amy @ Indy IN-Tune: What is a genre of music or some artist or album that people might be surprised to hear that you listen to? Like, do you ever just rock out to Dancin' Queen by ABBA, or Burt Bacharach or something? CC: I love the old 50's & 60's music, "Oldies" Motown, Chuck Berry, Buddy Holly, Jerry Lee Lewis. I also dig a lot of "Jam band" music...Phish, The Grateful Dead etc. Amy @ Indy IN-Tune: Anything in particular rocking your world musically these days? What were you listening to right before this interview? CC: Lately I've been listening to a lot of Scott H. Biram, Tim Barry, Ben Harper, and Hank Sr.
Amy @ Indy IN-Tune: Tell me about your songwriting process. Do you have a formula for it, or do you just play until you like a song and then write lyrics, etc. CC: I have no set formula...I wish I did. The best ones are the ones that come naturally & effortlessly. Townes called them "Sky Songs", as in, they fall from the sky, into your lap or wake you up at night. Sometimes I'll have an Idea that I really like and put it on the back burner for a while then come back to it with fresh perspective...that can work too. If I find myself having to force the lyrics or music I have to stop. It Can't be forced, for me anyways. Amy @ Indy IN-Tune: You've got a great reputation for being a proponent of local bands and artists and always showing support and love to your local music scene. Who are some people playing music in Indiana that you admire or particularly enjoy their sound or live performance? CC: Reverend Peyton's Big Damn Band are great performers & good friends of mine, Steve Smith & Conga J, The White Lightning Boys, The Kenan Rainwater Band, The Punkin' Holler Boys are at the top of my list, Will Scott, and my buddy, Luke Knight...watch out for good things for that guy...if you have not heard him, do so. Amy @ Indy IN-Tune: I know that you play a LOT of shows. Have you considered embarking on a tour? You'd probably do great all throughout the Midwest and the South, is that something you've done before, or would consider? CC: I would love to tour. I've done some mini-regional runs but have never been coast to coast with my music....yet. It obviously takes a lot of money, planning & coordination. I am willin' though! If you book it, Coot will come. Amy @ Indy IN-Tune: How would you personally describe your sound for those of you who may not have had the fortune of hearing your music? CC: I guess my sound would be pigeon-holed as, "Americana". Which is a pretty good sized umbrella...blues, folk, roots, bluegrass, honky-tonk, classic country & good ol' rock & roll are all ingredients in my gumbo. Thanks for your time, Coot, and it sounds like a rockin' lil shindig you've put together and I can't wait to check it out. I took it home and it literally changed entire outlook and inspired me to dig deep into myself and pull out the demons or angels that it takes to write the truth. "I'm honored to be part of this tribute. I wish Steve Earl was in it too because I think he's the guy I know that's a bigger Townes fan than myself….my quote out of all that would probably be 'Townes Van Zandt changed my life.'" 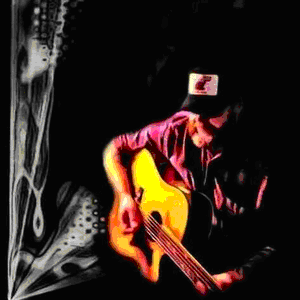 – Russ Baum of Russ Baum and Huck Finn, who will be performing at the show along with several other artists. Get down to Fountain Square at the Hi-Fi Sunday night for a stompin' good time with some great musicians. Amy Foxworthy is a writer, activist, music junkie, and professional hell-raiser. There is probably no truth to any other rumors you may have heard about her. Darrin's inane rambling from behind the scenes at Indy In-Tune ... or whatever else he's into at the moment. An In-Snide Look #374: Spread some Holiday Cheer, Local Musicians!